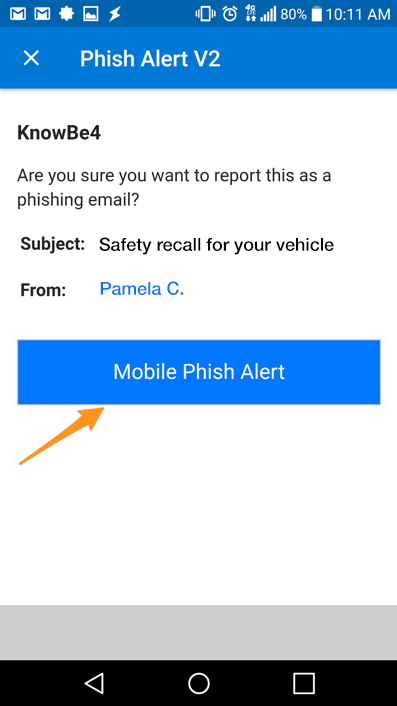 Click the PAB anytime you believe you have received a phishing email or any potentially dangerous email. Any emails you report using the PAB will be automatically deleted from your inbox. The emails you report will also be forwarded to a designated contact within your organization for analysis. 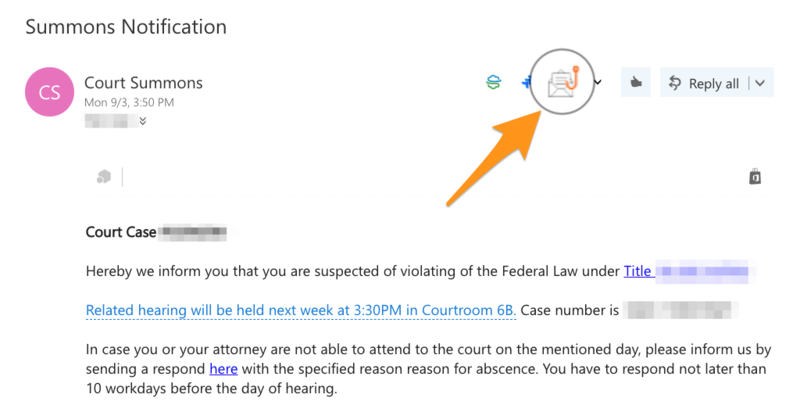 The PAB should only be used to report emails you believe to have malicious intent. 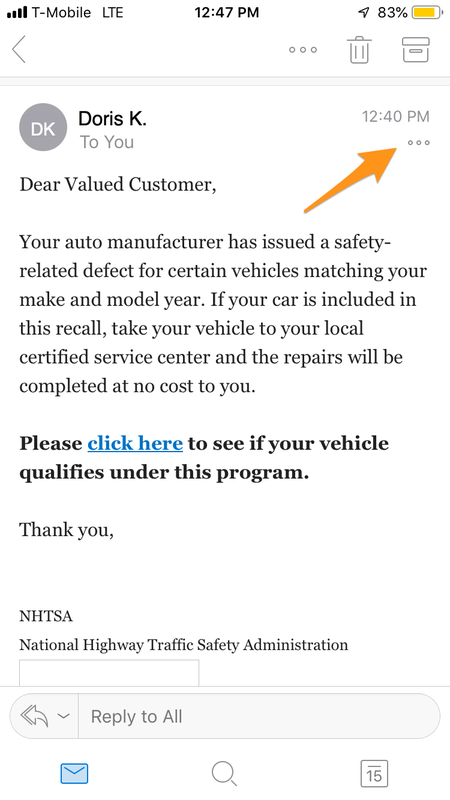 If you are receiving spam or marketing emails, you should not use the PAB. You can delete these types of emails or add the sender or sender's email domain to a block list. However, across all devices, the reported email will be handled the same. 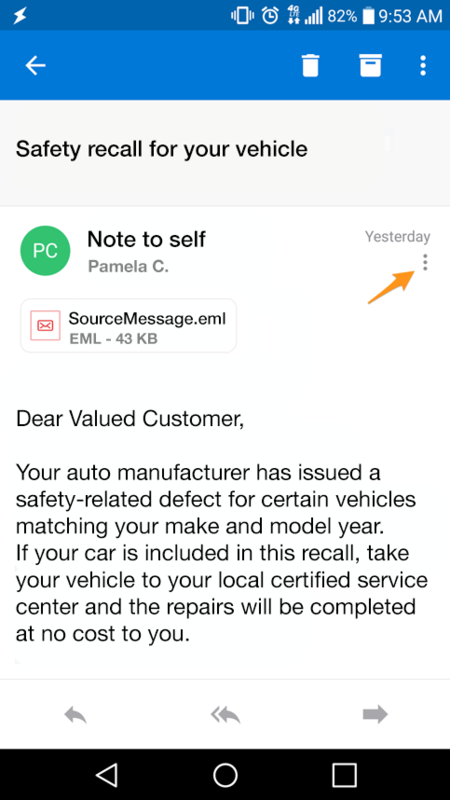 The email you report will be forwarded to an email address designated by your organization and then deleted from your inbox. If you report an email in error, you can retrieve the email from your Trash/Deleted Items. Once the PAB add-in is installed, the PAB icon will appear in the top-right corner of any opened email. A sidebar prompt will ask you if you are sure you want to report the email as a phishing email. 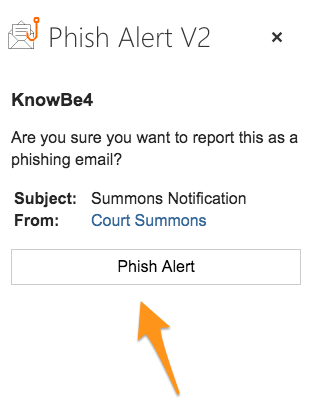 Click the Phish Alert button to report the email. 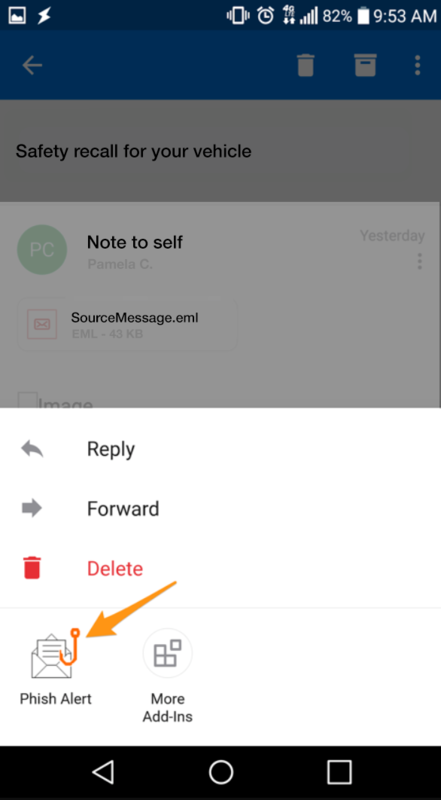 On any open email, tap the three dots at the top-right of the screen. The Phish Alert add-in will appear. 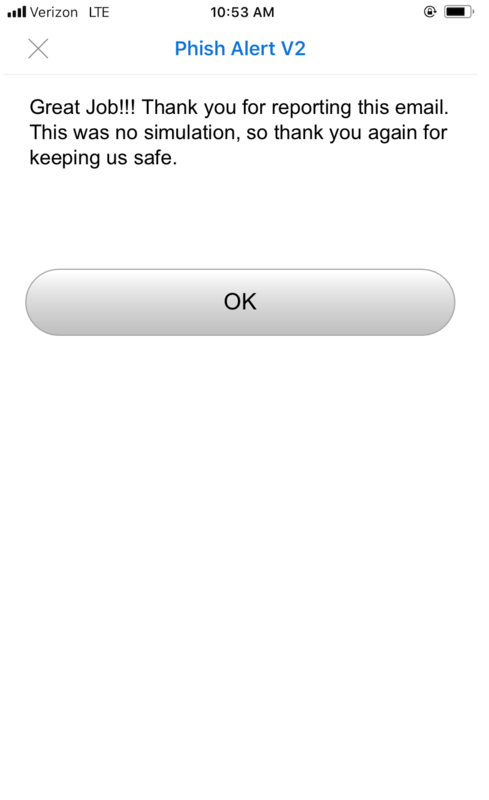 Tap the Phish Alert add-in. A prompt will ask you if you are sure you want to report the email as a phishing email. 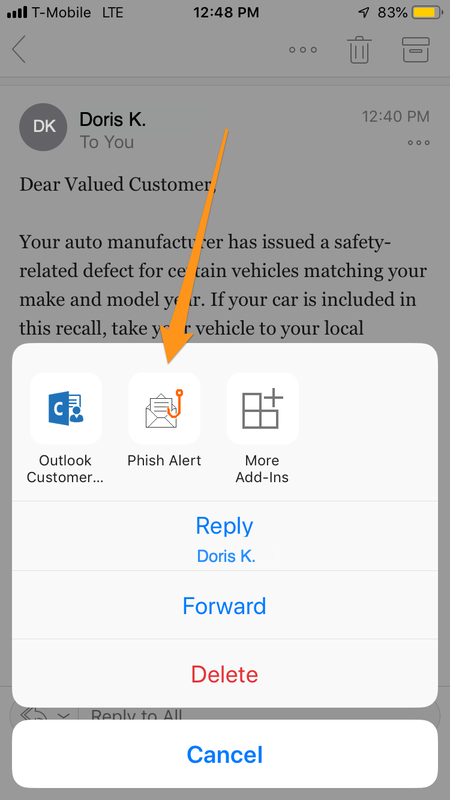 Tap the Mobile Phish Alert button to report the email. 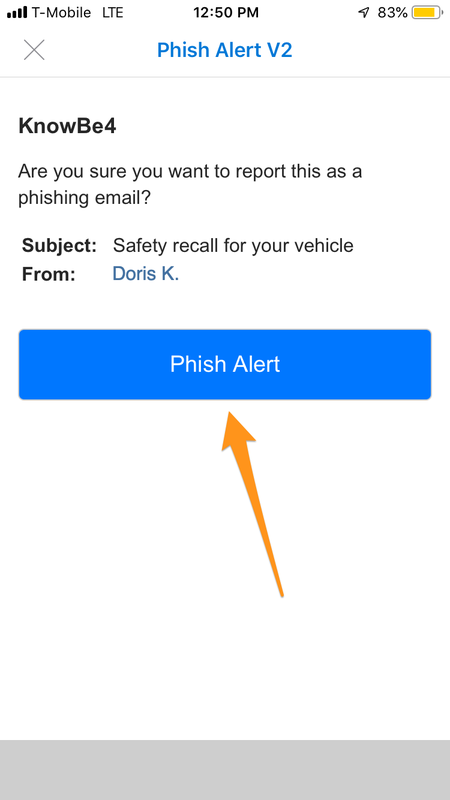 If you have successfully reported a simulated phishing email sent on behalf of your organization, you may see a custom text banner appear at the bottom of your screen. A prompt will ask you if you are sure you want to report the email as a phishing email. Tap the Phish Alert button to report the email.